Atomic Wallet is created to make day-to-day cryptocurrency usage more secure while bringing the best customer experience to both customers and investors. It is a suitable and protean decentralized effect for the custody-free cryptocurrency trading, it is a new type of decentralized cross-blockchain exchange. This platform is based on a unique proprietary engine designed to solve its assigned tasks. Atomic Wallet is the simplest way to connect buyers and sellers within a decentralized network, it also provides a powerful in-demand service which allows users to reduce efforts spent on managing digital assets. Atomic Wallet is a multi-cryptocurrency, multi-purpose, custody free Cold Storage wallet. It supports over 300 assest and recently they have added a new feature through which you can buy Bitcoin/Altcoins using a Bank Card. Atomic wallet also comes with features like Atomic Swap and P2P Exchange. 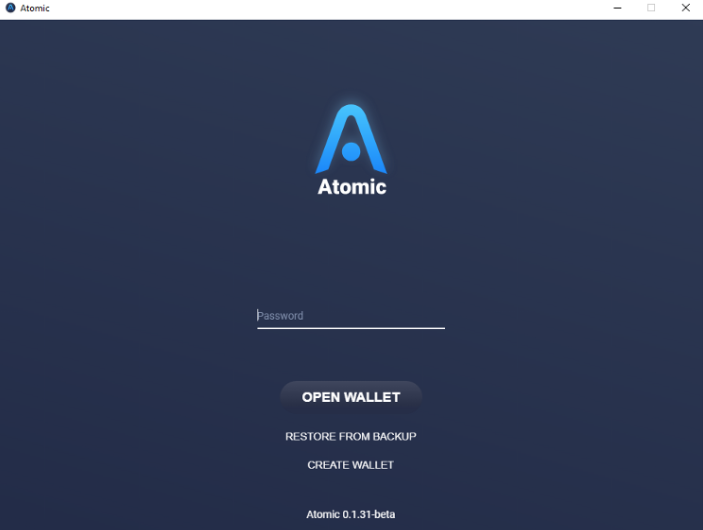 First of all you need to download the desktop version of Atomic Wallet. Atomic Wallet supports Windows, macOS, Ubuntu, Debian and Fedora. After you have Downloaded the wallet and Installed on your desktop, click on CREATE WALLET and then set password for your wallet. After you have setup a password, you will see a list of menus on the left hand side of your wallet. Below Exchange and above History, there will be Buy cryptos. Join Atomic Wallet Telegram Channel. In the next screen as shown below, you will see amount in dollars in the left and on the right Bitcoin value in Dollars. Bitcoin is shown as the default crypto to be bought on this screen. Currently through Atomic Wallet you can buy five cryptocurrency and they are Bitcoin, Bitcoin cash, Litecoin, Ethereum and Ripple. The minimum amount is $50 for buying any of these five cryptos. Both debit/credit Visa and Mastercards are supported. As soon as the purchase is confirmed the cryptos get credited into your wallet. The below two videos demonstrate how to buy Bitcoin and Bitcoin Cash with using bank card. I have been using this method of buying cryptocurrency for a long time, because I believe that this is the best and most convenient option to use Fiat money for investing in cryptocurrency. Atomic wallet is a wallet that I recommend for everyone to use, the interface is so beautiful and user friendly. You can download the wallet on any operating System and the mobile application is almost ready. The Atomic wallet Coin is a great coin that is worthy of investment. Do you wanna know about Atomic Wallet?